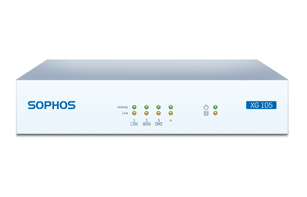 Sophos XG 115 and XG 115w - Symtrex Inc. The Sophos XG 115 and 115w, desktop firewall appliances, offer an excellent price-to-performance ratio making them ideal for small businesses or branch offices. They are available with or without integrated wireless LAN, so you can even have an all-in-one network security and hotspot solution without the need for additional hardware. Of course, you can also add external access points. With Intel multi-core technology designed for best performance and efficiency in a small form factor, these models come equipped with 4 GbE copper ports built-in.